The Rose leaf candle holder is an accessory designed to hang on walls to hold a plain candle or a coloured tealight voile. 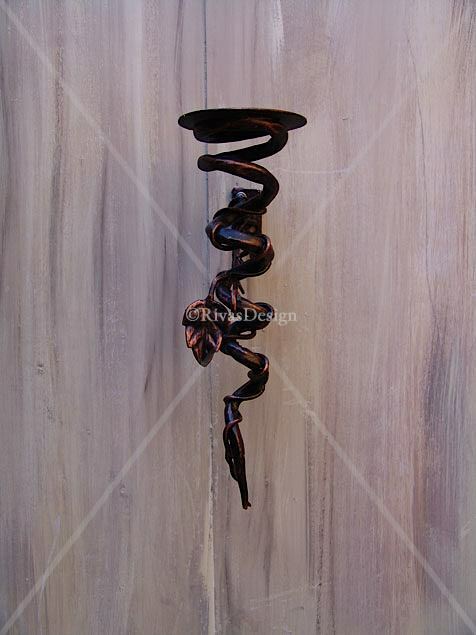 The vined leaf elements in this design, created by twisting fine rod round thick, match the rectangular and circular leaf trellises. 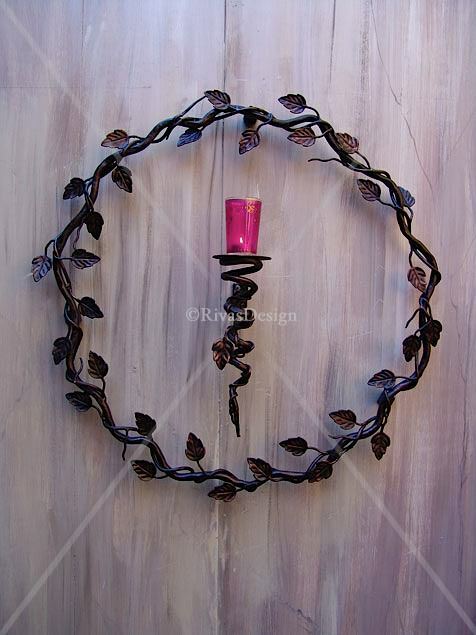 This candle holder is a stand alone design though has elements that match the leaf trellises. 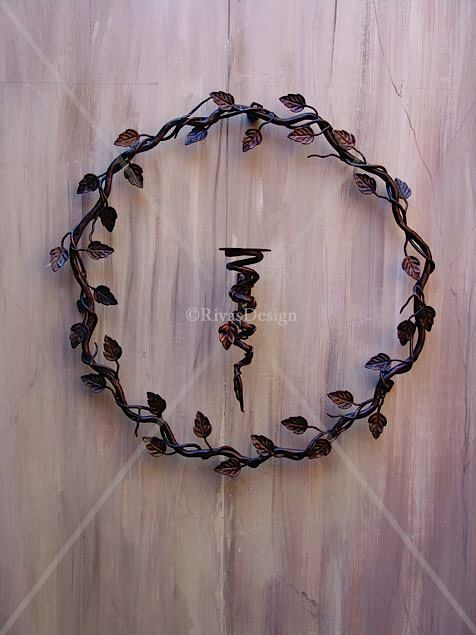 This means it can be used by itself or as an accessory for the leaf trellises. Ideal in spaces where mood lighting for special occasions is required. The flat candle base is ideal for holding coloured tealight voiles. To protect against rust, it is hot dip galvanised so it always looks good outdoors.